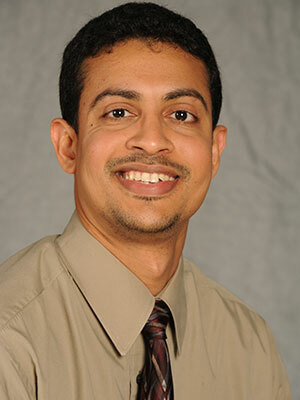 Children’s National Health System is proud to be the home of some of the world’s leading hematology experts, including Allistair Abraham, M.D., blood and marrow transplantation specialist within the Center for Cancer and Blood Disorders, who was recently selected to participate in the American Society of Hematology-Harold Amos Medical Faculty Development Program (ASH-AMFDP). 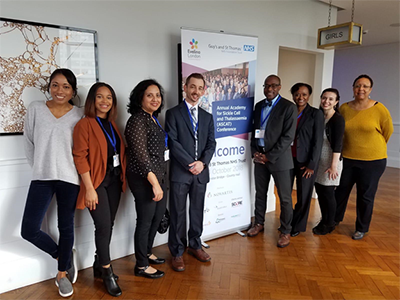 Designed to increase the number of underrepresented minority scholars in the field of hematology, the ASH-AMFDP has awarded Dr. Abraham $420,000 that includes an annual stipend and research grant over the next four years. 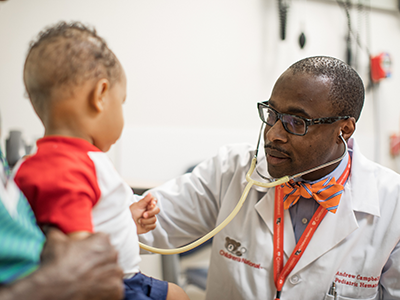 Here, Dr. Abraham tells us more about his research and what it means for the future of patients with sickle cell disease. Q: What does this award mean to you? A: This award comes at a critical time in my early career as I learn how to become an independent grant-funded researcher. 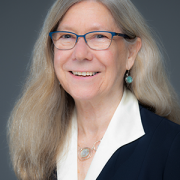 It gives me an opportunity to dedicate 70 percent of my time to research for the next four years, during which I will hone my research skills and have access to highly accomplished mentors at Children’s National and from the ASH-AMFDP faculty. Q: Your research for this grant focuses on improving curative hematopoietic stem cell transplantation for sickle cell disease. Why do they need to be improved? A: Sickle cell disease causes significant health problems for children, which can worsen as they become adults, and even shorten their lifespan. Curative therapies to date are limited for many patients since most do not have a suitably matched donor for a curative bone marrow transplant. Many of us in the field hope we can provide a safe option for as many patients as possible so they can be cured in childhood and not have to face the negative impacts of the disease as they grow older. Q: You will also be evaluating virus-specific T-cell (VST) recovery after transplantation. What will this mean for patients? A: As we explore more transplant donor options such as unrelated donors and mismatched family donors, we have observed delayed immune system recovery. Viral infections are particularly problematic, as they can be life-threatening and respond poorly to available medications. Ultimately, a recovered immune system would address the infection problem. We hope to generate immune cells that are protective against viruses from the transplant donor and give them to patients as part of their transplant procedure. Q: How do you envision your research improving the future of treatment for sickle cell patients? A: My hope is that we get closer to having a safer transplant option for most patients who, despite optimal therapy, continue to suffer from complications of sickle cell disease. Ideally, these transplants would not only be widely available, but the treatment would also be simplified to the point where most of the therapy could take place in an outpatient setting. Q: Why did you decide to work in this field? A: Sickle cell disease has lagged behind other disorders in terms of new treatment strategies for quite some time. I experienced this as a medical trainee and struggled when parents would ask me to “do something” for their child when most of the time all I could offer was pain medication. 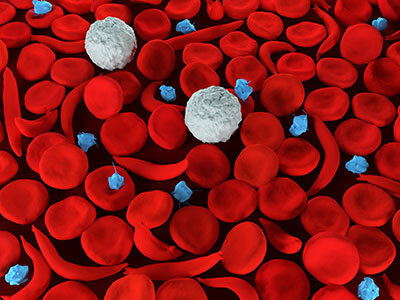 In the last five years or so, there has been more focus on sickle cell disease from the field and the community, so now is the time to work toward developing a widely available cure. In early December 2017, more than 25,000 attendees from around the world, including several experts from Children’s National Health System, convened in Atlanta for the American Society of Hematology’s annual meeting and exposition, the world’s premiere hematology event. 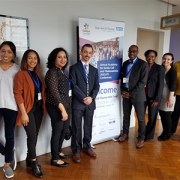 For four days, physicians, nurses and other healthcare professionals attended sessions, listened to speakers and collaborated with each other, focusing on enhancing care and treatment options for patients with blood disorders and complications, including leukemia, sickle cell disease and transplants. 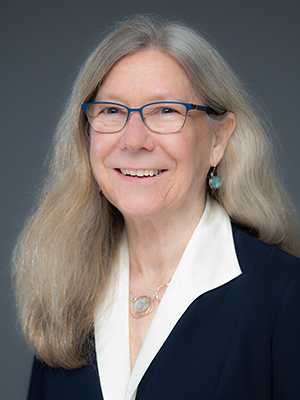 Catherine Bollard, M.D., M.B.Ch.B., Director of the Center for Cancer and Immunology Research, educating global experts on cellular immunotherapy for non-Hodgkin lymphoma. Kirsten Williams, M.D., bone and marrow transplant specialist, presenting novel work utilizing TAA-specific T cells for hematologic malignancies with Dr. Bollard, the sponsor of this first-in-man immunotherapy; moderating sessions on immunotherapy and late complications and survivorship after hematopoietic stem cell transplantation (HSCT). Allistair Abraham, M.D., blood and marrow transplantation specialist, moderating a session on hemoglobinopathies. David Jacobsohn, M.D., ScM, Division Chief of Blood and Marrow Transplantation, moderating a session on allogeneic transplantation results. Naomi Luban, M.D., hematologist and laboratory medicine specialist, introducing a plenary speaker on the application of CRISPR/Cas 9 technology for development of diagnostic reagents for diagnosis of alloimmunization from stem cells. Additional presentations from the Children’s National team included an oral abstract on the hospital’s work to improve hydroxyurea treatment for sickle cell disease by pediatric resident Sarah Kappa, M.D., who also received an ASH Abstract Achievement Award; another key session on hemoglobinopathies moderated by Andrew Campbell, M.D., director of the Comprehensive Sickle Cell Disease Program; an abstract on the clinical use of CMV- specific T-cells derived from CMV-native donors, presented by Patrick Hanley, Ph.D.; a leukemia study presented by Anne Angiolillo, M.D., oncologist; and a presentation about pain measurement tools in sickle cell disease by Deepika Darbari, M.D., hematologist. Visit the ASH website to learn more about the conference attendees and their research. Like many health care systems, Children’s National realizes that in order to provide top care to patients, the hospital and health system have to constantly evolve. In 2013, across the country, the importance of a strong safety and quality program were growing and the organization’s executive leadership made it a key priority to deliver the best care and follow best practices to ensure that we were driving value in healthcare. Children’s National embarked on a long-term journey, known as Transformation 2018, that would ultimately prove successful in improving quality of care while reducing costs across the hospital system. When starting this initiative, the leaders at Children’s realized that in order to successfully transition from volume-based to value-based care, the change had to occur organically – in other words, led by our own internal teams. 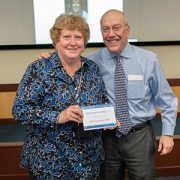 Continuously striving to be on the forefront of quality and safety innovation, Children’s National has always valued a culture that empowers staff at all levels to be part of transformations, and this initiative was no different. 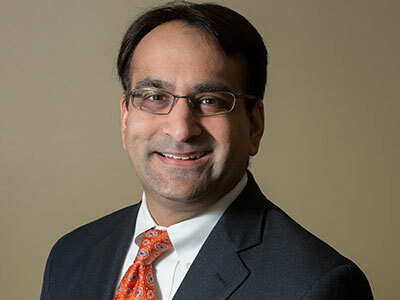 Rahul Shah, M.D., Vice President and Chief Quality & Safety Officer, and Linda Talley, R.N., Vice President and Chief Nursing Officer, would lead the effort. Rather than setting their sights on first targeting populations of patients, as is common practice, the team aimed to make an impact at a more micro level by focusing on particular diseases or diagnoses. This strategy allowed the initiative to start on a small scale and involve staff in numerous divisions across the health system, which would eventually pave the way for bolder and broader population health initiatives. By integrating changes through individual initiatives, Children’s National achieved a combination of quality and cost savings in a number of disease areas, including autism, testicular torsion, idiopathic posterior spinal fusion and sickle cell disease vaso-occlusive crisis. 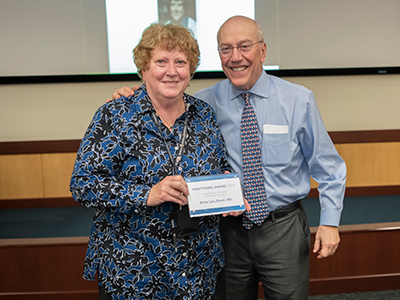 As the benefits of this effort were realized, leaders throughout the hospital approached the transformation team to see how they too could be a part of the project to transition their divisions. 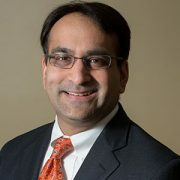 Dr. Majumdar was born in Zambia, attended the University of Zimbabwe College of Health Sciences and conducted his postdoctoral medical education at the University of Mississippi. 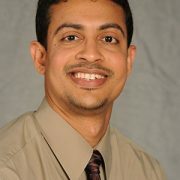 Dr. Majumdar is currently the director of the Comprehensive Pediatric Sickle Cell Program at the University of Mississippi Medical Center. He previously directed the Mississippi Hemophilia Treatment Center and is a recognized leader in hematology and sickle cell disease. In addition to his broad clinical expertise, Dr. Majumdar is an accomplished researcher, and a principal investigator of NIH-funded studies. Dr. Campbell’s distinguished training and career path began at Morehouse College. 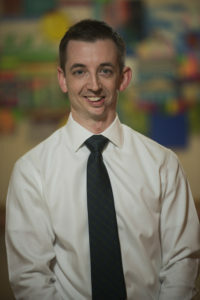 He continued medical school at Case Western Reserve University and completed post graduate training at Massachusetts General Hospital (Harvard) and Lurie Children’s Hospital (Northwestern University). He has been director of the Comprehensive Sickle Cell Center at the University of Michigan since 2005. His research interests span several topics in sickle cell disease including pulmonary complications, fetal hemoglobin switching in transgenic sickle cell mice, phenotype/genotype relationships and renal complications. The Children’s National Division of Hematology includes the most comprehensive pediatric blood disorders team in the Washington, D.C., area. 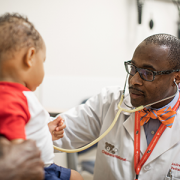 The Sickle Cell Disease Program is among the largest in the country, treating more than 1,400 children and young adults with all types of sickle cell disease.